The Predator has struck, one more time. We seek for its identity, what is it? I here compare two different events, perpetrated by the Enemies of Mankind, seven years apart. Maybe first read my earlier post. No-one has been able to get into the Sandy Hook elementary school to verify if there are any bullet-marks, bloodstains etc, then on January 2nd the children were transferred to another school some miles away: we assume the old Sandy Hook Elementary School will remain sealed off, and will be demolished. Perhaps a shootout DID NOT ACTUALLY HAPPEN THERE. Was it all just an act, with kids hearing some bangs? The new school will be patrolled by security guards permanently: presumably to maintain the kids in a state of sufficient trauma to prevent them talking, or remembering the wrong sort of thing. The Mail Online 6 January shows this image, subtitled: ‘Chaotic scenes at the school as police work to secure the area and bodies are carried out of the school.’ But look carefully, no bodies are here, only some duffle bags – and some are doubting whether this is the school car-park. In the London Bombings, the three train carriages were kept absolutely out or bounds then destroyed one year later: the blown-up bus was taken up to Sevenoaks Military establishment, i.e only the military can see it. The Sandy Hook Elementary School was in an up-market area of Connecticut, shown by the large majority of its children being from Jewish families. It would have had high-security equipment including CCTV cameras. We have as yet not been shown images from the time of the crime (curiously vague, but said to have been three minutes around 9.45 on 14th December). There are no images of a ‘crime scene’ eg bullet-marks in walls or through windows. No wounded persons being interviewed. During the London Bombings, as also for 9/11, the CCTV was switched off: no pictures, from the most heavily CCTV’d city in the world (until 3 years later when some rather dodgy ones were released). 3. The patsy perpetrator(s), clueless and unmotivated, are themselves killed so they cannot defend themselves. Dead, then can be given all the blame. There is no reason to suppose that the 20-year old autistic Adam Lanza had any expertise or practice in using guns, still less that his Mother went herself to a firing range or belonged to a rifle club and brought her son along. The car allegedly driven by him to the school turned out to belong to a shady felon, with FBI ties. Would or could any young man shoot his mother, take her car, drive it to a school to which he does not belong, be dressed in black, shoot his way into the school with several guns and kill virtually every target he aims at? How could anyone believe such a story? Then he kills himself – and then, goes over to his car and puts the rifle he has used back in the book. There is no conceivable motive for this physically quite impossible sequence of events. The four alleged London bombers knew nothing about chemistry, never had any interest in it, and had no bomb-making skills that anyone ever heard about. Once dead they had no-one to defend their name against the official fictions. Not one of them had an animus against British society, to motivate any antisocial act. If a story is being made up, then different agencies will be spinning it, so it will never be very coherent. The Sandy Hook story became incoherent at the moment when CNN News announced that four pistols had been found in the school: presumably because the official coroner had averred that each of the 28 bodies had an average of seven bullet-holes in them, so they needed four pistols to credibly sound as if two hundred bullets had been fired. One young lad is not going tobreak into the school with four guns – after shooting his own Mother. . The story of the rifle used – the Coroner averred that all injuries had been made with the rifle, then it was found to have been placed in the back of a car outside the school – can never make any sense. The 7/7 London bombings was truly an ever-changing story, with a narrative that relied heavily upon journalistic amnesia and credulity over the latest bit of unattributed gossip. Notably over what explosive had been used, which kept changing. The State lies to its own people. The State participates in killing its own people. On 17th September 2010, HSEEP Homeland Security Exercise and Evaluation Program had a drill with FEMA at the Sandy Hook Fire Department, which is near to the Elementary School. 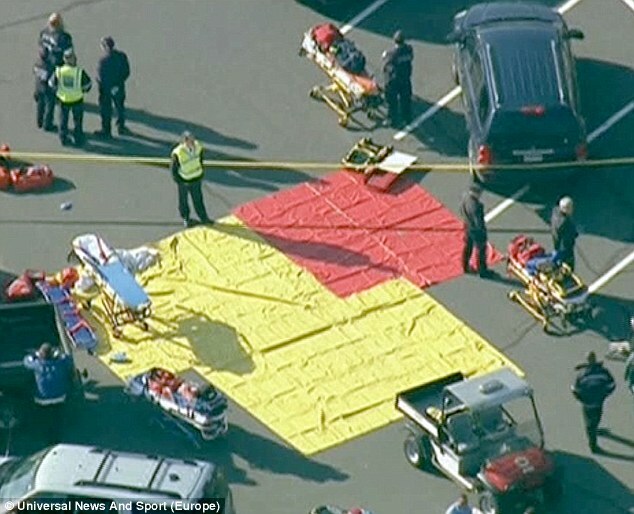 On the day of the event, starting at 9.00 am, a FEMA exercise ‘Planning for the Needs of Children in Disasters’ took place in Connecticut not far from Sandy Hook. Some conjecture that this got moved and happened at the school, which would account for the presence of Federal troops there seemingly much too early. There is probably a lot more of this to come out. 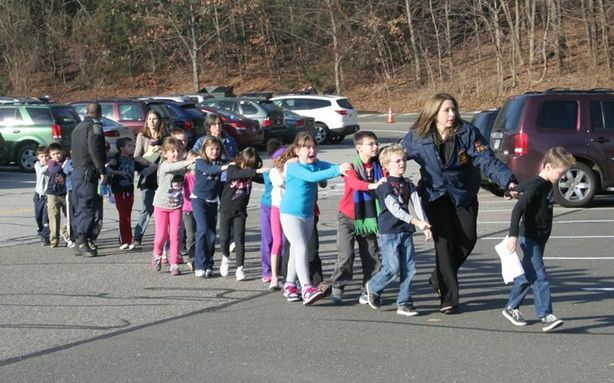 There is a picture on the Web of children of Sandy Hook forming a chain and being told to close their eyes – that is what a kiddie terror-drill looks like – from a couple of months earlier. The London Bombings had four main terror-drills leading up to it, the last of these by Peter Power on the very morning at the same three tube stations. 6. Guilty culprits announced too soon. At 9:53AM, no more than ten minutes after the reported shooting ceased, the Associated Press published a story, “Official with Knowledge of Connecticut School Shooting Says 27 Dead, Including 18 Children.” Neighbours of Nancy Lanza said that around 9:15am they saw police surrounding the house, taping off the neighborhood and telling everyone to evacuate. Yet, they supposedly did not learn the identity of the shooter until c. 11:30am. They identified the bodies of the “shooter” and his mother before the body identifying process even started, with names, occupations, “health issues”, marital status and residency. On 9/11, news items started alluding to Osama Bin Laden about an hour after the event. On 7/7 Tony Blair announced that it was an Islamic crime at 5 pm on that day. The total of 52 dead was announced much too early, in fact while two of them ‘not yet dead’ were still in hospital. 7. Film pre-announcement of the event. The Batman film ‘Dark Knight rises’ alluded to Sandy Hook region of Gotham City, as a portion of the city of Gotham during a setup of one of the bad guy’s dirty deeds in that movie. Earlier promotions of the film the year before did not (Alex Jones discovered) have that Sandy Hook reference. The 2000 film ‘The Sandy Hook Lingerie Party Massacre’ has the killer strike in the aftermath of a hurricane. Or, the ritual sacrifice of 22 children is portrayed in ‘The Hunger Games’ by Suzanne Collins: she lives in Sandy Hook. The London bombings were prefigured in the film ‘V for Vendetta’ about an Underground train primed to blow up. It was filmed in the months leading up to 7/7, so Warner Brothers had free run of the London Undergound tunnels. Its launch had to be postponed because it was too similar to what had just happened. Likewise ‘the Descent’ a horror movie scheduled to open the day after on 8th July, about people trapped underground and dying: its launch had to be postponed. Compare the classic film ‘The Matrix,’ where after 17 mins one sees 11 Sept 2001 on Anderson’s passport ID. 8. Families not allowed to see bodies of loved ones. At least one family had the experience of not even being allowed to see the body of their loved one. “They told me, ‘You can’t see (the body),’” Gilles Rousseau told Radio-Canada, the French-language CBC. “ They would just be shown photographs. 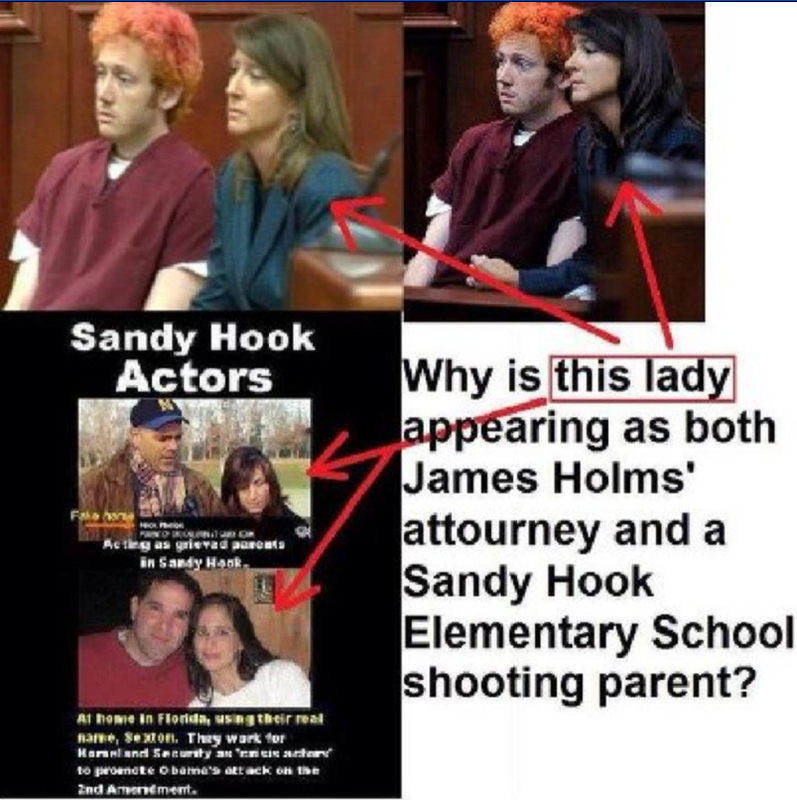 ‘Where are the Sandy Hook Bodies? Many are wondering, are there any bodies? There was a bizarre aspect to the 7/7 tragedy, in the way families had to wait often over a week just to be told whether their loved one was dead, and then would be not allowed to see the body – with phoney tales that it might upset them too much – or else shown them embalmed with a policeman standing by. On December 19 the Connecticut State Police assigned individual personnel to each of the 26 families who lost a loved one at Sandy Hook Elementary. “The families have requested no press interviews,” State Police assert on their behalf, “and we are asking that this request be honoured – a de facto gag order. What is it so terrible they might say? In the 7/7 London bombings, ‘grieving parents’ would always be wheeled out to support the government narrative, but one could never get to speak to any of them. 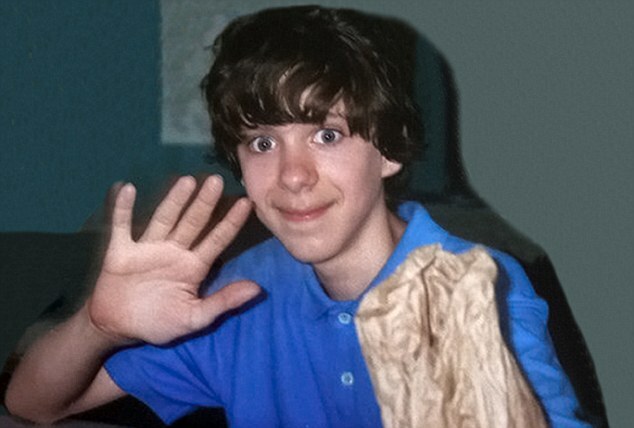 Adam Lanza was a vegan because he ‘didn’t want to hurt animals’. Nancy Lanza ‘was a wonderful, beautiful, elegant woman who loved life, and most importantly she loved her son, Adam’ a friend has testified. They lived on a street named after the great Indian Yogi ParamanshaYoganada: what did this mean to them? The London bombings had some actors spotted on the street that morning, presumably part of the scheduled ‘terror drill’ http://www.youtube.com/watch?v=cW089fj94vY ‘Wounded’ actors were especially noticed around Tavistock Square. ‘Even more unusual are the observations of Facebook pages of the deceased being created days or even months prior to the shooting, further suggesting the synthetic and premeditated nature of the event. For example, on March 23, 2011 a Facebook site was established, titled “RIP Emilie Parker,” for the daughter of Robbie Parker, now well-known after the soliloquy delivered on CNN and preceded by a gleeful chuckle and query as to whether he should read the lines provided him.’ One may doubt whether any of the 28 ‘deaths’ at Sandy Hook Elementary School were real. The London bombings had one definite not-real-death,viz Myriam Hyman (but there may have been others). She’s on the plaque at Tavistock Square but no way did she die there. Normally when fabricated terror happens, the story is fake but the deaths are real. It is the dead bodies which give the air of gravity and solemnity, so that Those Who Create Delusion will be believed. The London bombings had dreadful scenes of carnage, seen by real witnesses. Sandy Hook has only two dead bodies known: Adam and Nancy Lanza. On that morning, the local hospital went into lockdown and cleared four trauma rooms, but received only three patients, two of them dead children(according to the official story) and one mildly wounded adult. We saw locked-down kiddie-coffins in funeral services, but is that enough? The situation may remind us of 9/11, when airports that morning were waiting for the grieving relatives – but none came. The security forces averred that they had removed the bodies from the school in the middle of the night: had they? Have children been stolen? Child slaves sell, we are told,for well over $200,000.